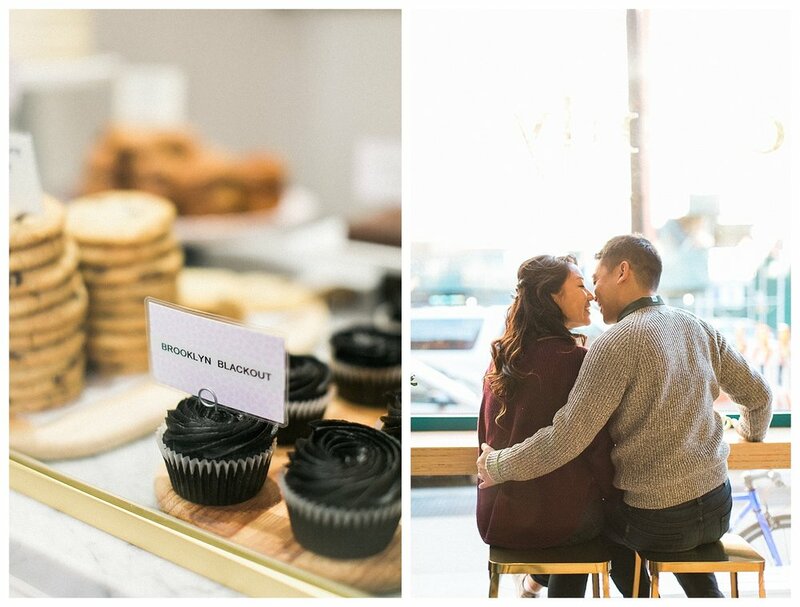 I finally got around to blogging one of my favorite engagement sessions ever! Jonathan & Grace decided they really wanted to capture their relationship while taking a stroll around Brooklyn, specifically in some of their favorite places. 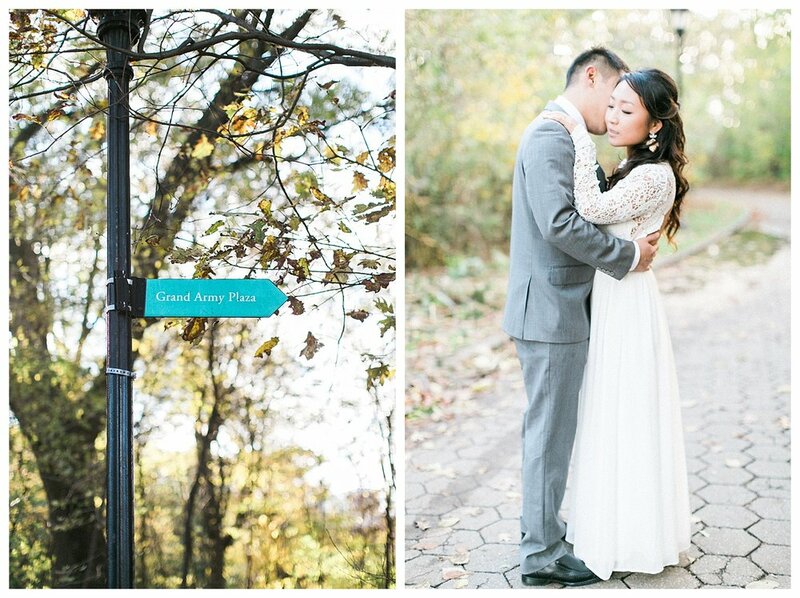 We started in Prospect Park (you can never go wrong with that place especially in the fall!) one of their favorite bake shops Ovenly, and of course you can't do a shoot in Brooklyn without visiting the beautiful brown stones. Although it was a pretty windy and cold fall day, they totally rocked their session! These two were so incredibly fun to photograph. They constantly joked with each other and told me a little bit about how they met and how they made a long distant relationship work for several years! They recently tied the knot this January! Here's to wishing them a long and happy marriage!